Huggie hoop earrings are a men&apos;s classic! 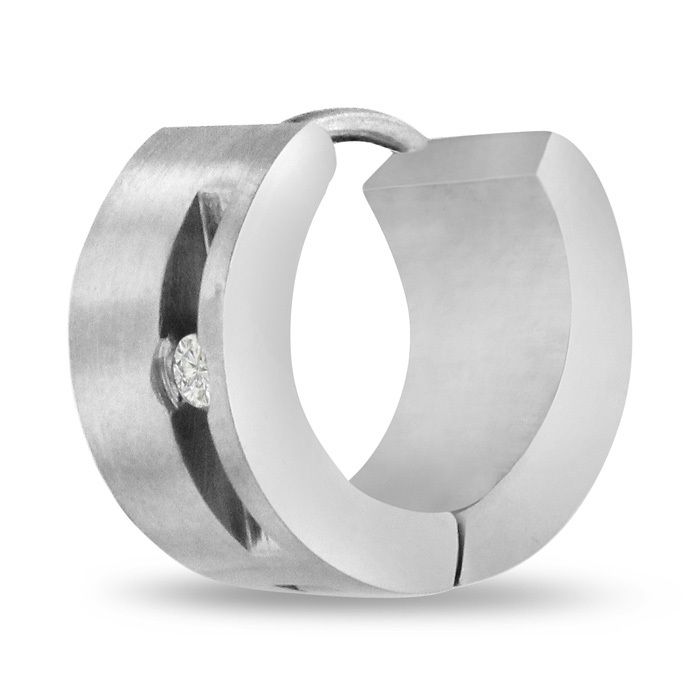 Be sure to grab this silver tone huggie hoop earring with cubic zirconia accent. The earring has a secure hidden snap post so you will never lose them. The earring is crafted in solid stainless steel. 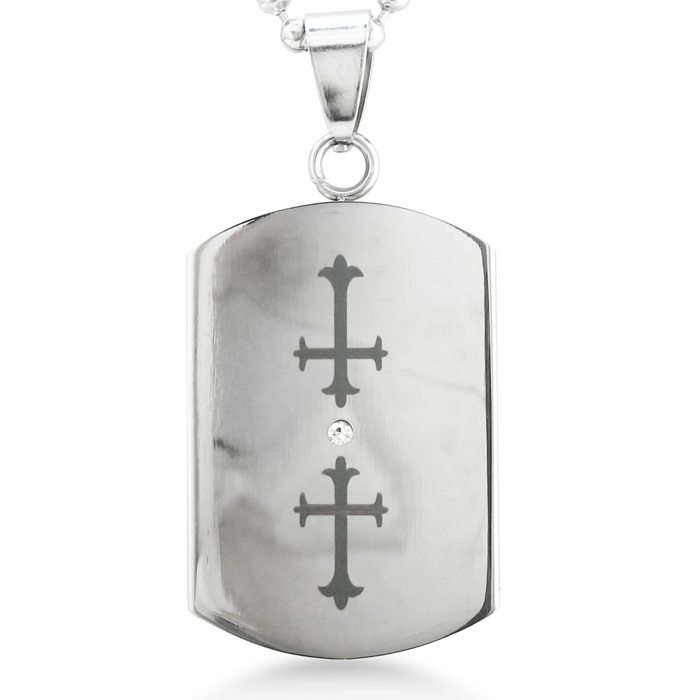 This unique dog tag has two crosses embossed on the pendant with a rhinestone in the center. This is a one-of-a-kind modern polished stainless steel pendant. The pendant comes with a 20 inch beaded chain. Order yours today! Huggie hoop earrings are a men&apos;s classic! 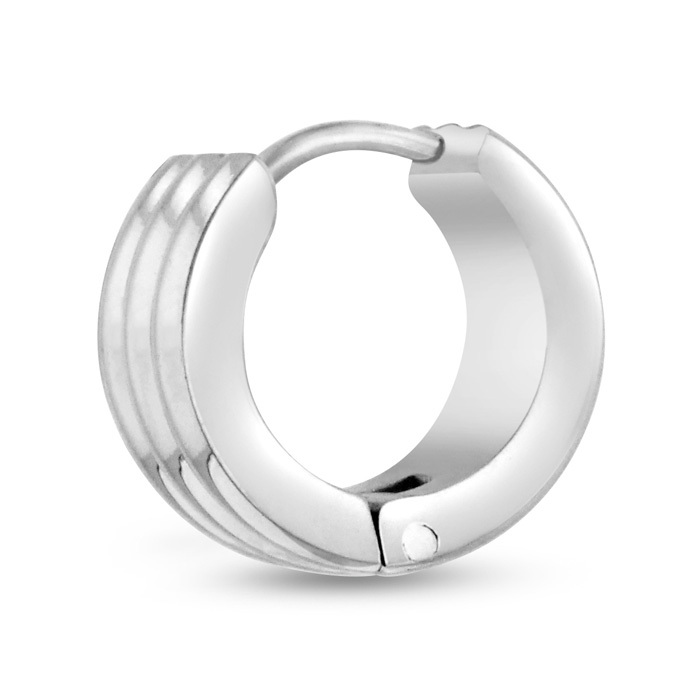 Be sure to grab this polished grooved huggie hoop earring. The earring has a secure hidden snap post so you will never lose them. The earring is crafted in solid stainless steel. 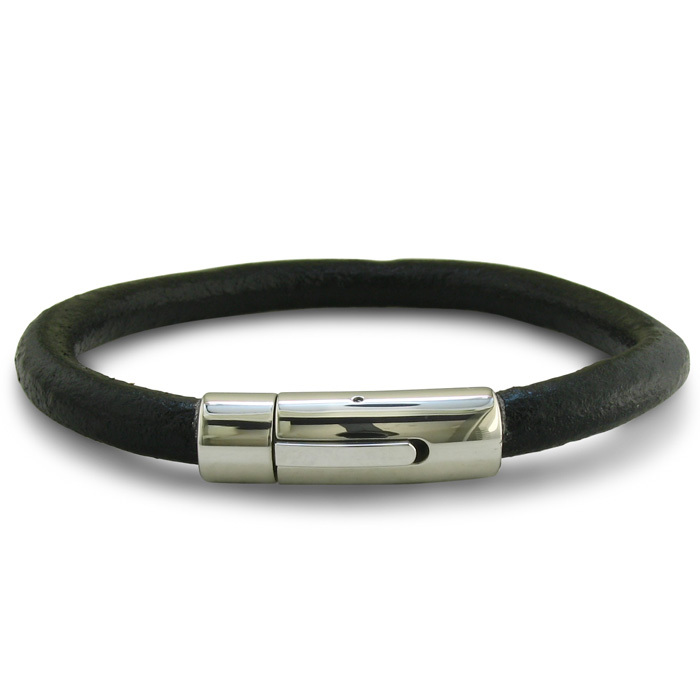 This 7mm thick black leather bracelet with a stainless steel lock is simple and easy to accessorize with. It can be used to dress up or dress down with the modern and simplistic look. 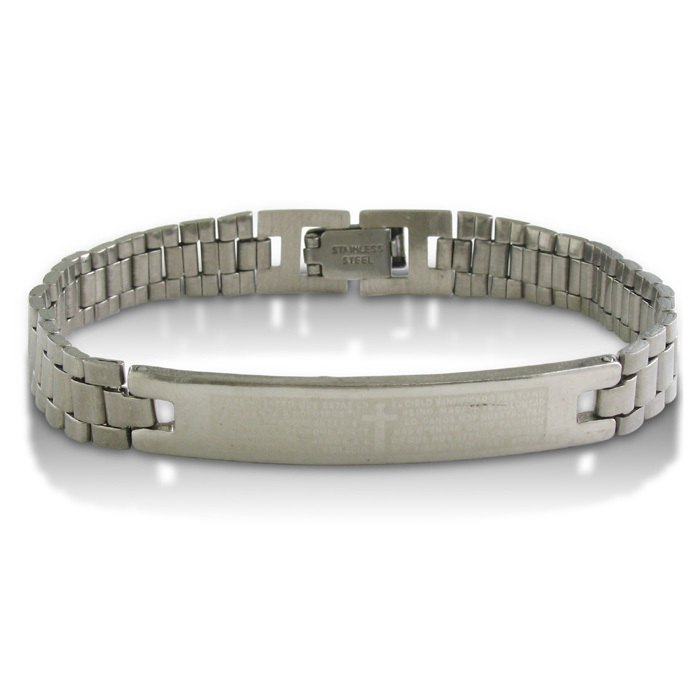 The bracelet is 8 1/2 inches long. Order yours today! 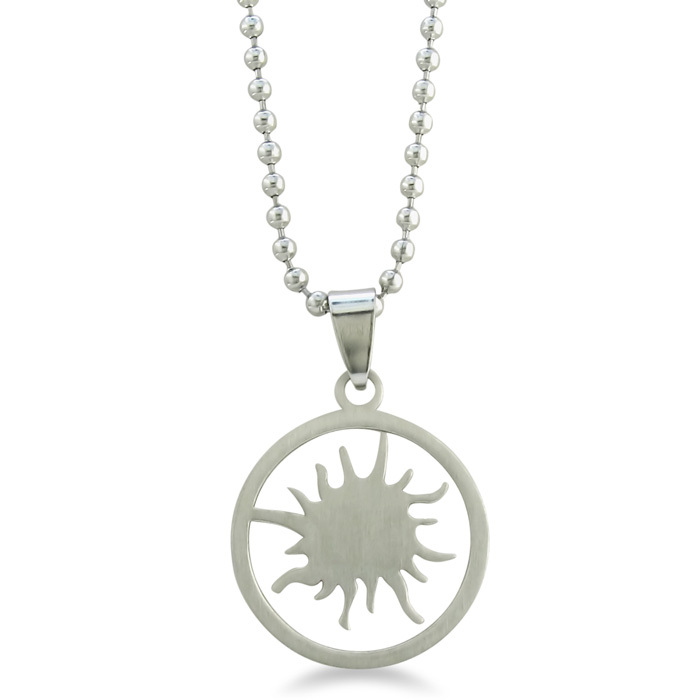 This unique circular pendant has a sunburst carved out in the center. 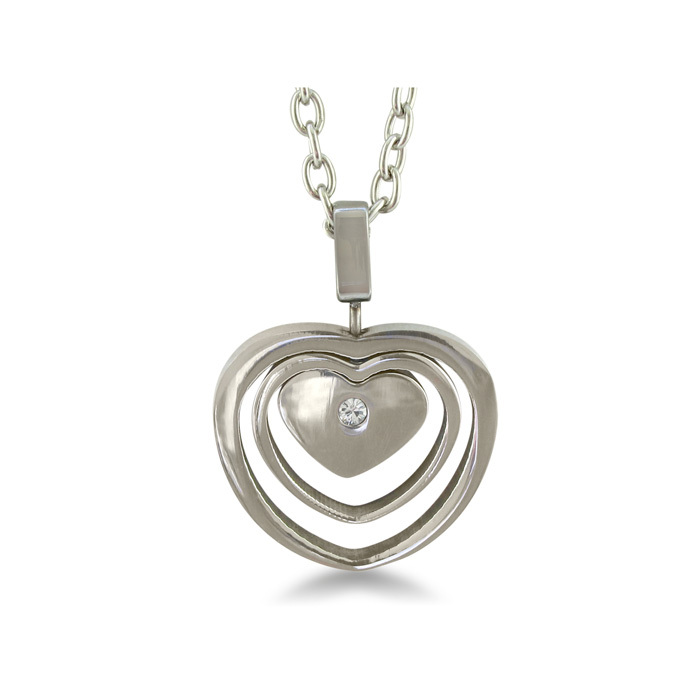 It is a one-of-a-kind pendant that is sure to stand out. It comes with a complementary 20 inch beaded necklace. Order yours today! Huggie hoop earrings are a men&apos;s classic! 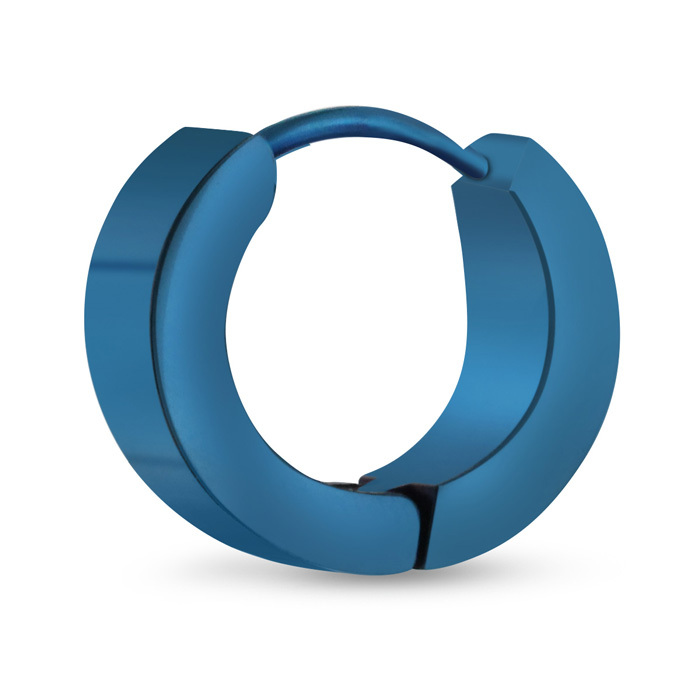 Be sure to grab this polished blue tone huggie hoop earring. The earring has a secure hidden snap post so you will never lose them. This earring is crafted in solid stainless steel. Unique twisted black and white rhinestone stainless steel cuff. Flexible twiseted wire style bracelet features 84 shimmering black rhinestones and 70 fiery white rhinestones and fits up to a 7.5-inch wrist. Huggie hoop earrings are a men&apos;s classic! 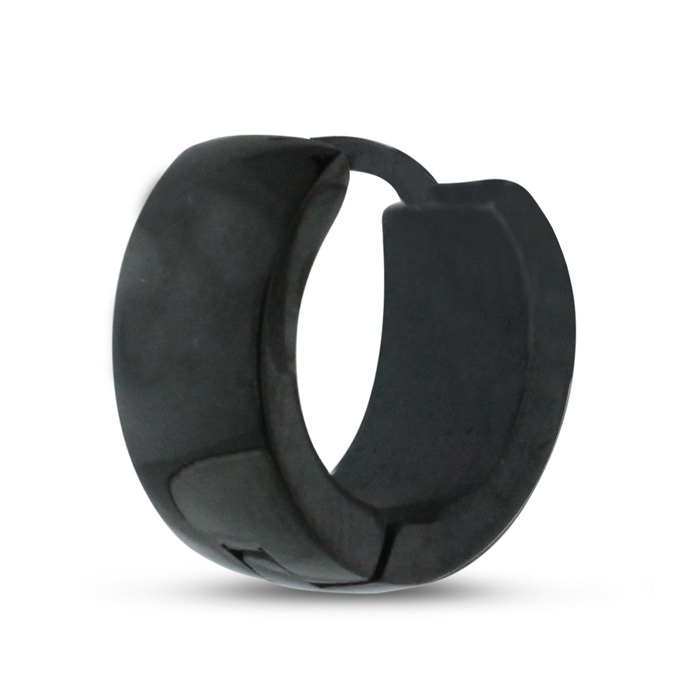 Be sure to grab this polished black huggie hoop earring. The earring has a secure hidden snap post so you will never lose them. This earring is crafted in solid stainless steel.